Itus Network is aiming to fill this gap with iGuardian, a home network security device they currently have in development. According to Itus, iGuardian is an enterprise-class threat protection solution for the home at an affordable price. iGuardian is base on the Snort, a Linux open-source software designed to block cyber attacks, filter malware and undesirable content. With every device in the home becoming connected and smart, the need for better network security is paramount. Unlike PCs where you can install a virus software, these devices are unsecured; so your smart TVs, cable boxes, game consoles, security systems, thermostats, smoke detectors need something to protect them. 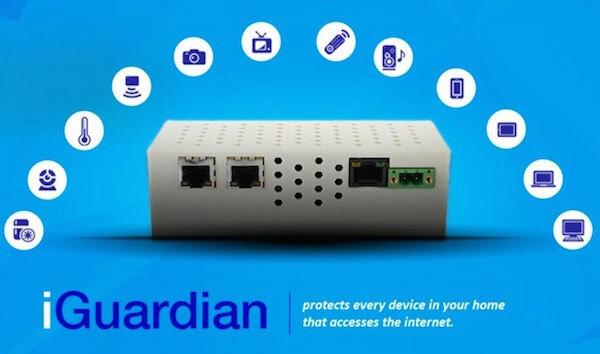 iGuardian, will sit between the ISP’s (internet service provider) router and your home network to filter internet traffic and protect your home from possible treats. According to Itus, there is no specialist skill needed to setup the iGuardian – just plug it in and allow it to configure itself. I particularly like the idea of offering enterprise level security to the home. An introductory price of US $149 is higher than other boxes when you compare the features, but the security you get with the iGuardian is far better. Itus Network via Kickstarter is trying to raise the money needed to bring this product to market; a goal of US $125,000 is set.